West Yellowstone, Montana: Buffalo Field Campaign is planning events in southwest Montana towns, including one event that everyone, everywhere can participate in. The Week of Action will kick-off on Monday, February 15 and last through Sunday, February 21. “The wild buffalo of Yellowstone are being sorely mismanaged under a highly controversial plan designed to cater to livestock interests,” said Buffalo Field Campaign media coordinator Stephany Seay. “Nearly seventy-five percent of Montanans have expressed their strong desire for wild, migratory bison in this state, yet, without any justification, current management actions disrespect the majority of citizens while causing irreparable damage to the world’s most important bison population. We are going to be heard for the last wild herds!" Monday, Feb 15, 10-5 - Bozeman: Rally and tabling in Bozeman, Montana. We will have info/take action tables at the Bozeman Co-Op and Bozeman Public Library from 10am-5pm, and rally through Downtown Bozeman mid-day. The Bozeman Co-op is located at 908 West Main Street, Bozeman. The library is located at 626 East Main Street, Bozeman. Tuesday, Feb 16, 10-7 - Mammoth YNP & Beattie Gulch, Gardiner: Protest outside Yellowstone National Park Headquarters in Mammoth, Yellowstone National Park, followed by a candlelight vigil beginning at Mammoth, convoy to the Stephens Creek bison trap entrance, ending with a vigil/ceremony at Yellowstone’s north boundary, Beattie Gulch, along the Old Yellowstone Trail. Thursday, Feb 18, 1:00-4:00 - Helena, MT: BFC & Native Allies Rally in Helena! Rotunda of the Capitol Building from 1-4pm. Join BFC along with members of the Nez Perce, Assiniboine, Blackfeet, Lakota, Confederated Salish & Kootenai tribes, and tentatively, White Clay (Aaniiih) and Nakoda as we honor Governor Bullock for opening year-round habitat for wild buffalo on Horse Butte, urge him to expand the lands where wild buffalo roam, and repeal MCA 81-2-120! We will also pay a visit to the Montana Department of Livestock offices to let them know how we feel about their maltreatment of America’s last wild buffalo. Afterwards, join us for a working-in-solidarity dinner from 4:30-8:00. The Capitol is located at 1301 E. 6th Avenue, Helena. The Dinner will be held at St. Paul’s United Methodist Church, 80 E. Lawrence Street, Helena. Friday, Feb 19, 12:00-5:00 - West Yellowstone, MT: Join us in the Yellowstone gateway community of West Yellowstone for a march through town, ending with a rally at the west entrance to Yellowstone National Park. 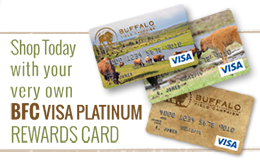 Meet at Buffalo Spirit, located at 14 N. Canyon Street, West Yellowstone. Saturday, Feb 20, 10:00-5:00 - Big Sky, MT: Join us in Big Sky for a rally and march through Montana’s famed ski resort. Meet at the parking lot at the bottom of the ski slope. Sunday, Feb 21, 5:00-7:00 - BFC: Join us at BFC headquarters in West Yellowstone for an open house and community meal to celebrate year-round bison habitat on Horse Butte! Bring a dessert or appetizer and please RSVP for this specific event by calling our office at 406-646-0070, and if you need directions we can give them to you when you call.